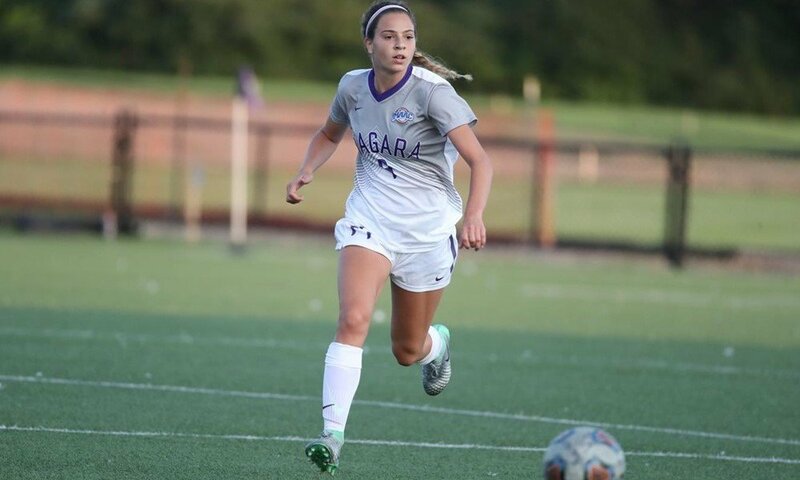 The Niagara University Purple Eagles Women’s Soccer Fall ID Camp is a high-level training program on October 9 at the Kiernan Center in Niagara University campus. It is set to start 1t 9:00 AM and end at 4:00 PM. Registration is only until the 17th of October. This event is ideal for women’s soccer players who aspire to play at the college level. The training program’s format is the same as the training method that the Niagara University women’s soccer team is using. It also includes competitive matches that will showcase the skills of its participants. There are also discussions regarding college recruitment procedures. Niagara University, formerly College and Seminary of Our Lady of Angels, is a private, coeducational, Catholic university in Lewiston, New York. It is a member of the Association of Catholic Colleges and Universities. The university is also part of the National Association of Independent Colleges and Universities. The university is offering 50 academic programs for undergraduate students. Niagara University has an accreditation from the Middle States Commission on Higher Education. Its College of Business has an accreditation from the AACSB International. In the Regional Universities North 2018 Best Colleges rankings, Niagara University is at top 48. It is also top 15 in the Best Value Schools rankings. Currently, it accommodates around 3,300 undergraduate students. In athletics, the university is participating in the elite Metro Atlantic Athletic Conference of NCAA Division I. Their nickname is Purple Eagles. Correspondingly, purple and white are their identity colors. Peter Veltri is the head coach of the Niagara University women’s soccer coaching staff. He is already in his 19th season as the Purple Eagles women’s soccer coaching staff. Under his leadership, the Purple Eagles have already a MAAC Championship and NCAA Tournament appearances. Moreover, Coach Peter Veltri is a 3-time MAAC Coach of the Year awardee. Then, Andy Tunnicliffe and Rudy Pompert are the assistant coaches. Rob Jackman is the volunteer assistant coach. Niagara University Purple Eagles Women's Soccer Fall ID Camp is a high-level training program on October 9 in Kiernan Center at Niagara University campus.